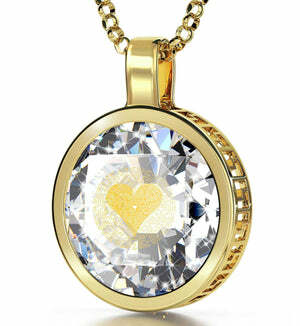 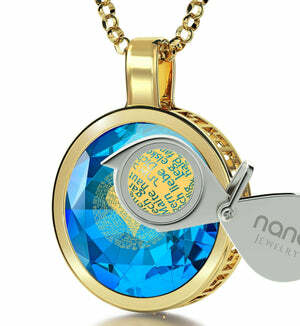 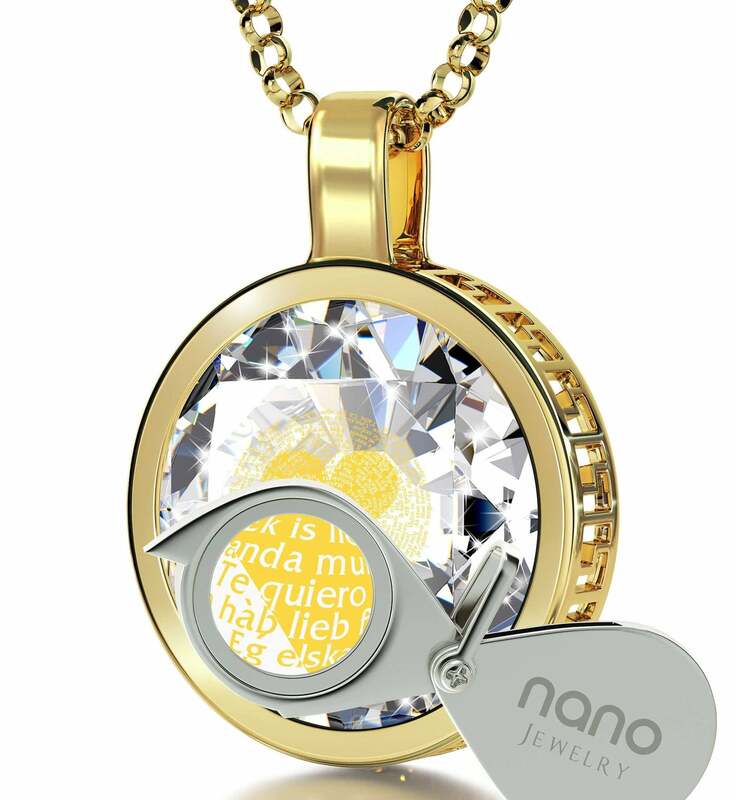 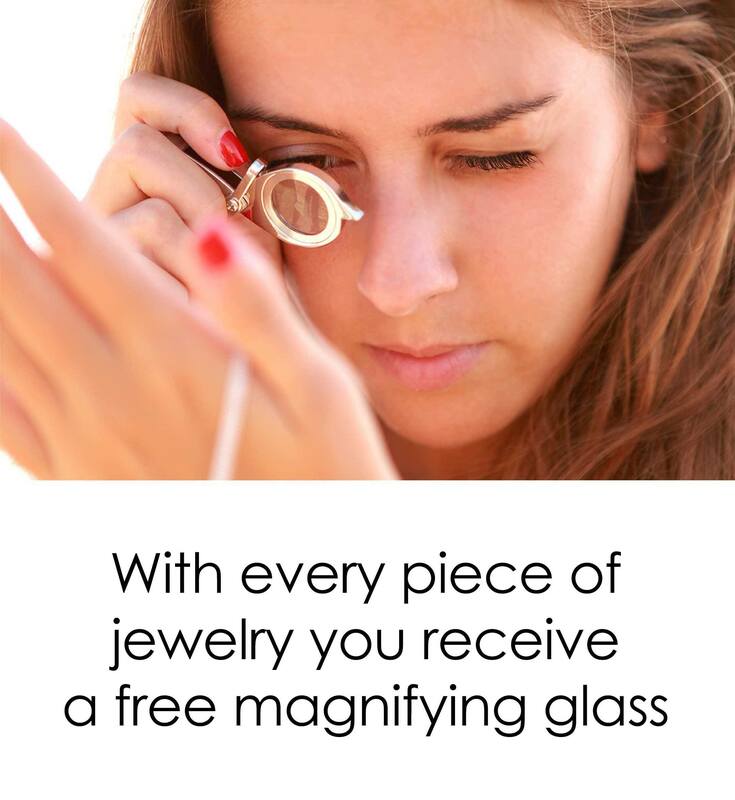 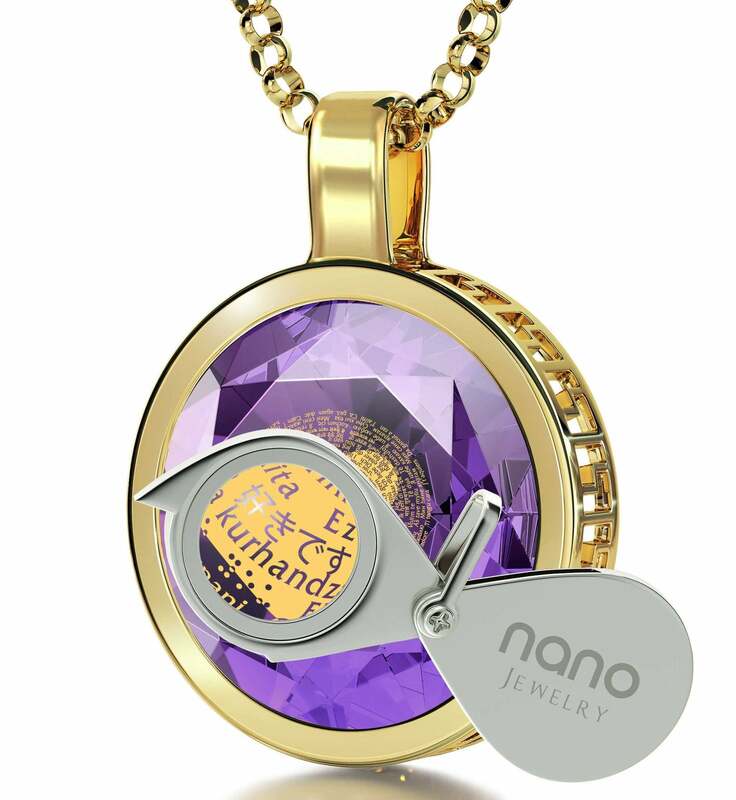 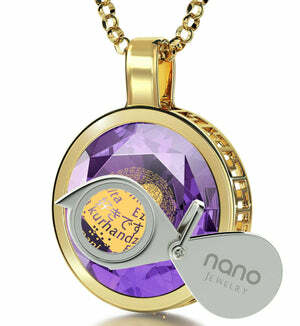 Birthday Ideas for Girlfriend, Shop now for Romantic Nano Jewelry! Thinking about what to get girlfriends for birthdays can be a chore. It is sometimes hard to come up with something elegant yet powerful, especially if you’ve already thought up great Christmas gifts for her, or tokens of affection on any other occasion for that matter. 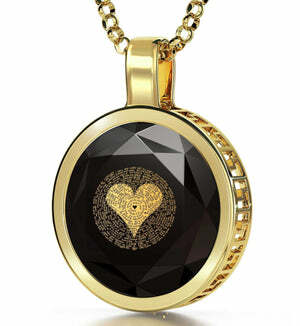 It might be time to get back to basics and pick out a stylish and unique necklace for your girlfriend. As far as girlfriend birthday ideas go, this one is really something else – a high-quality 24k gold-plated round frame envelops a radiant cubic zirconia gemstone available in a number of vibrant colors. 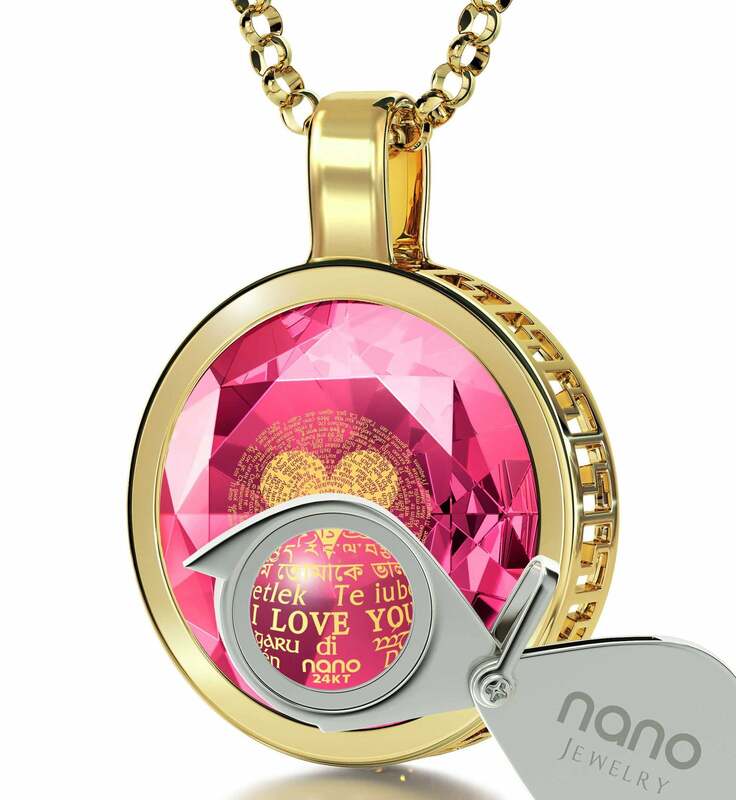 The magic starts happening once she takes a closer look at the stone and sees “I Love You” imprinted into it with pure 24 karat gold. 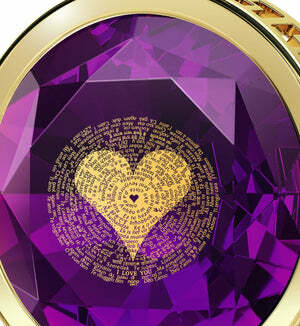 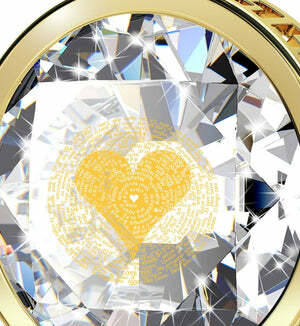 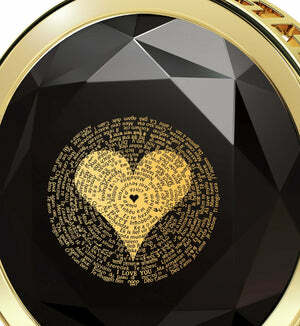 That’s the perfect time to tell her what makes this piece of womens gold jewelry so special. 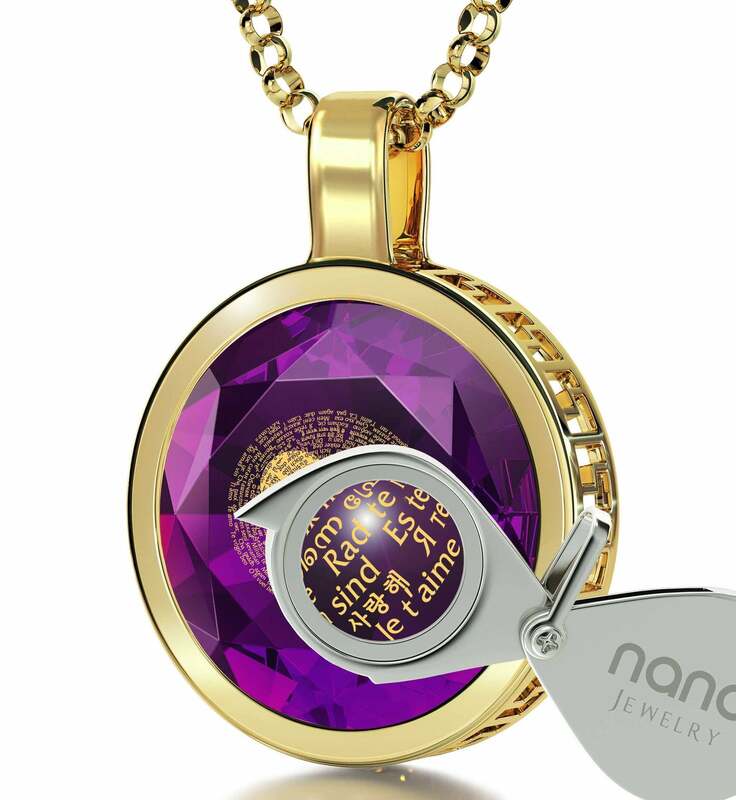 Nowhere else in the world can she get a necklace with an inscription like this, words of love that have been crafted in a way that will make them last forever. 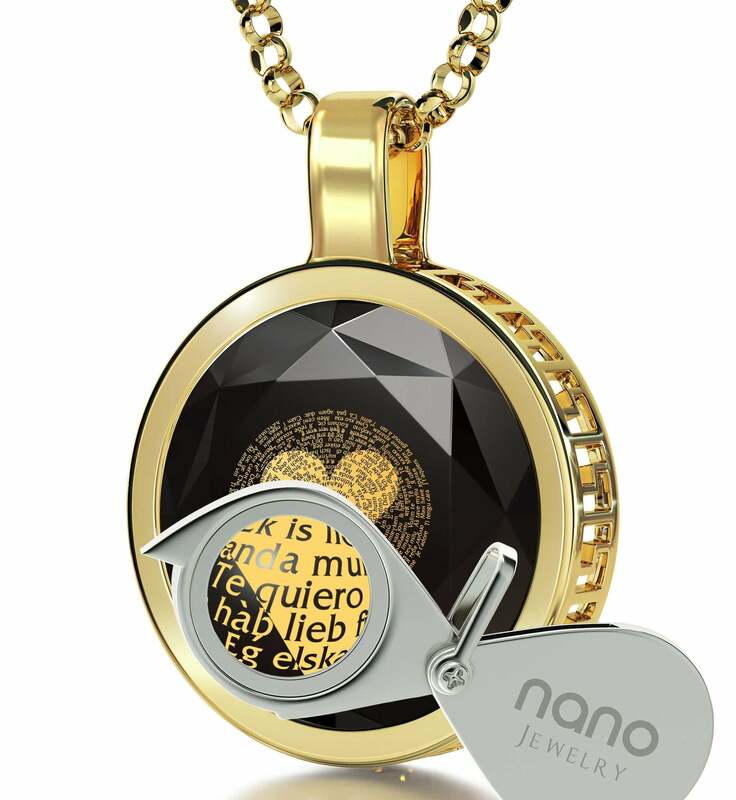 She won’t have to wonder about love in other languages ever again as the necklace comes with a special magnifying glass that will highlight the golden letters and bring out their beauty even more. The best presents for girlfriends also come in the most exquisite boxes, and this one is no exception. 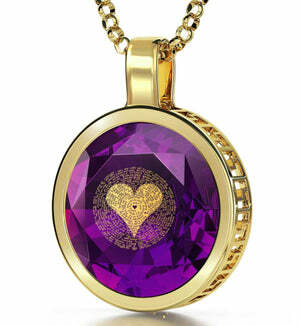 So, make reservations at her favorite restaurant, bring some flowers and this amazing gift. Once you see the glitter in her eyes, you’ll know she’s worth it and much, much more.